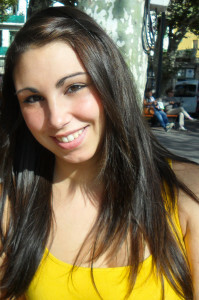 My name is Fabienne, I’m 22 years old, I’m from Germany and the new intern at Smartaupairs Australia. As part of my studies, “Foreign Languages in Economics and Administration”, I already did a 5 month internship in Spain and right now, I can’t wait to start this second internship in Australia. Besides German, I speak English, have a good command of Spanish and know some French. At Smartaupairs I will be the first point of contact for the Au Pairs from Germany. I will answer their questions, help them to solve problems and I will be a friend if they need someone to talk. All in one, I will help them having an awesome time here in Australia. During my Internship I would like to improve my English skills and would like to gain more practical working experiences. In my free time I would love to travel through Australia, explore new places, meet new people and just enjoy my stay. One Response to "Welome Fabienne Our New German speaking Intern"